We were at SM Megamall three weeks ago. Our son played at Timezone, and we had dinner at Almon Marina before going home. To be honest, we missed eating here. This is one of our favorite dining places even before hubby and I got married. We simply loved their food! We had soup (Beef Minestrone Soup and Chicken & Mushroom Soup), Norwegian Salmon, Callos and Fish & Fries. Hot, flavorful soups with crispy breadsticks were a good way to start what we already expected to be a really satisfying dinner. Our son liked his breadstick dipped in the Beef Minestrone Soup; I loved this, too. 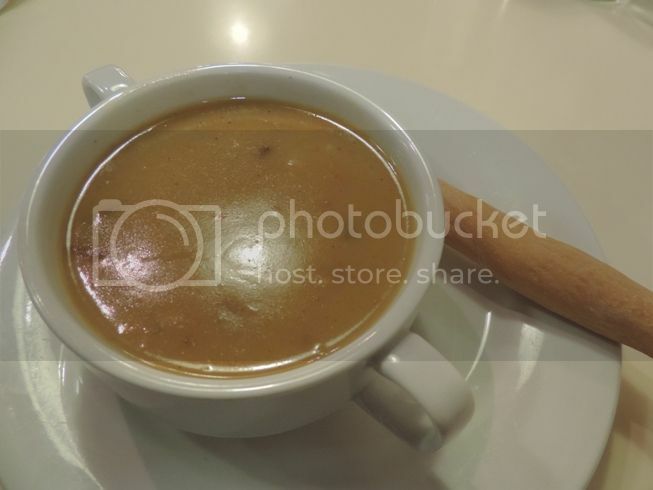 Hubby enjoyed his steaming bowl of Chicken & Mushroom Soup as well. This was my healthy and delicious meal: grilled Norwegian Salmon with mustard dill sauce, rice pilaf and veggies. 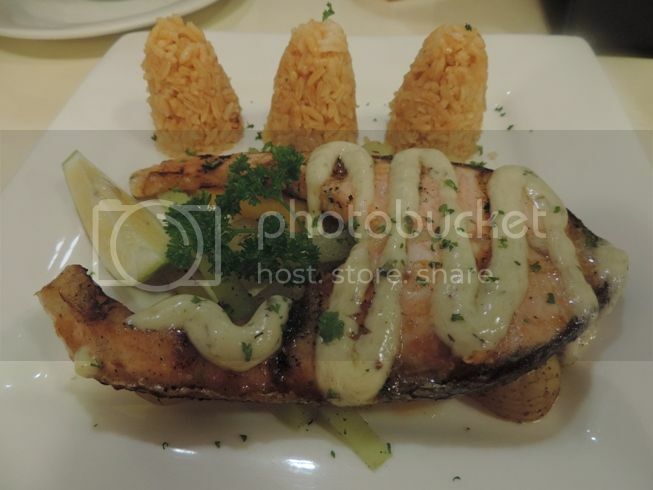 That tender, tasty and succulent salmon was huge, and the presentation was really nice! 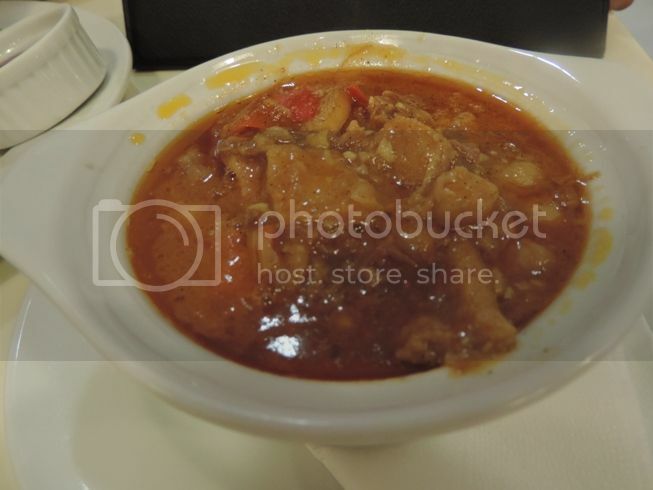 This perfectly seasoned Callos is hubby’s ultimate favorite dish at Almon Marina. It’s uber tender ox tripe and oxtail cooked in tomato sauce and olive oil and served with either rye bread or rice. This one’s for our 7-year-old son. 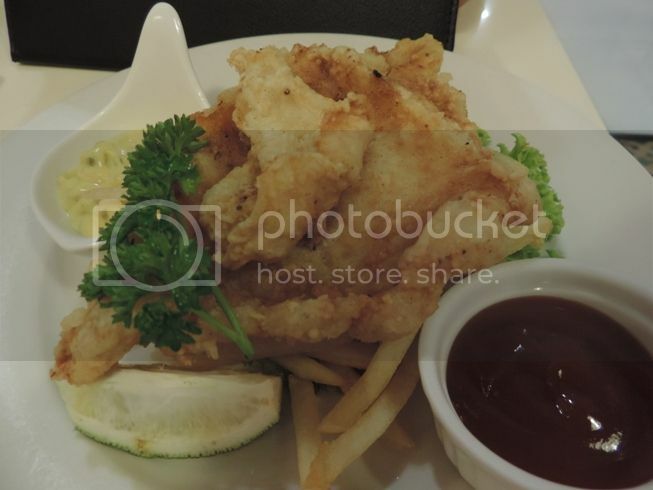 Fish & Fries consisted of breaded cream dory fillet with tartare sauce and fries. He ate all of the fish fillet and most of the fries. He only stopped eating when he felt his tummy was already full. We had a really sumptuous family dinner at Almon Marina, and we will definitely come back for more! 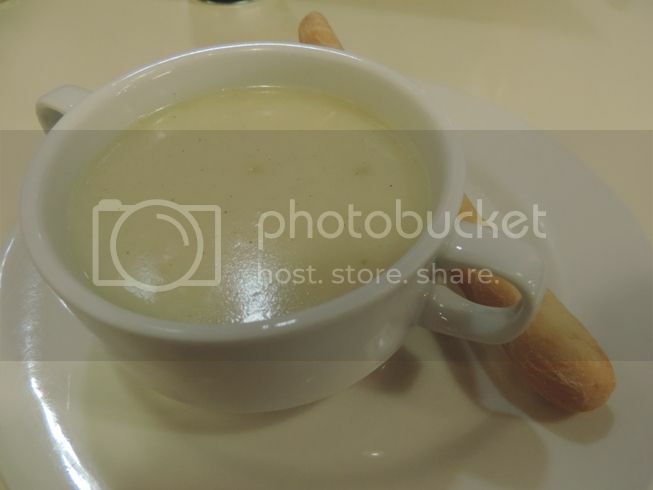 This entry was posted in Almon Marina, Continental Cuisine, European Cuisine, Food Friday, Food Trip Friday, SM Megamall. Bookmark the permalink. The fish and fries i think is worth trying! Oh the prices are very affordable! I didn’t know they had other food items aside from sandwiches. Oh how I missed Almon Marina, they have good desserts too. They’re mostly jam packed whenever we chance at Megamall. Their Callos is also our favorite order at Almon Marina, their roast beef sandwich, and their Reuben Salad! I have not dined here in years! I remember I saw this Almon Mariano at SM MOA as soon as we finished watching UAAP basketball game and I thought it was Aljon Mariano (UST Basketball player) hahaha. Call it hangover? The Norwegian Salmon looks delish, btw. i haven’t been here in years! yummmmm! !